Hey, so there’s a new Star Wars movie coming out. I’m sure you heard. Wayyyy back when I started this column, I knew that reviewing the Star Wars trilogy was going to be my big “end of the year” thing, and not just to generate hits. I love these movies, especially the first two, and while I know they have their critics, I firmly believe they hold up even if you strip away all the greater stuff surrounding it. Which makes them a perfect candidate for this column. Or so I thought. As I was constructing the column with my usual format, I realized I really couldn’t do this movie justice. I’ve felt similarly overwhelmed by The Godfather and even Spider-Man, but this time, I really felt like I had to branch out and do a more complete overview. Which means this is going to come to you in two parts. I don’t know if I’ll do this again or how frequently, but it seems like the right call this week. George Lucas was a young director who had a surprise hit with American Graffiti, but his next project was for more ambitious. With his love for old sci-fi and adventure serials and a pretty active imagination, he was set to make an expensive, ambitious space opera. With a troubled production, an ever changing script, young actors who didn’t buy into the movie, and so little faith from 20th Century Fox that Lucas was given the rights to any future sequels without much of a fight, the movie seemed to be heading towards disaster. Instead, Star Wars dominated the box office, make more money than Steven Spielberg’s Jaws and officially creating the age of the modern blockbuster. The movie even managed to get a Best Picture nomination and a special Oscar for its groundbreaking special effects. 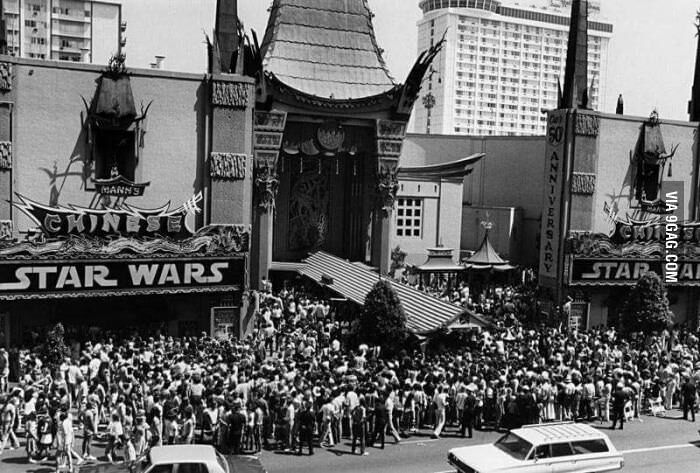 But more than that, Star Wars changed the game for film merchandising and took up more space in the collective conscience than almost any movie before or since. Obviously, we all know in 2017 what a huge, sprawling success the film was. 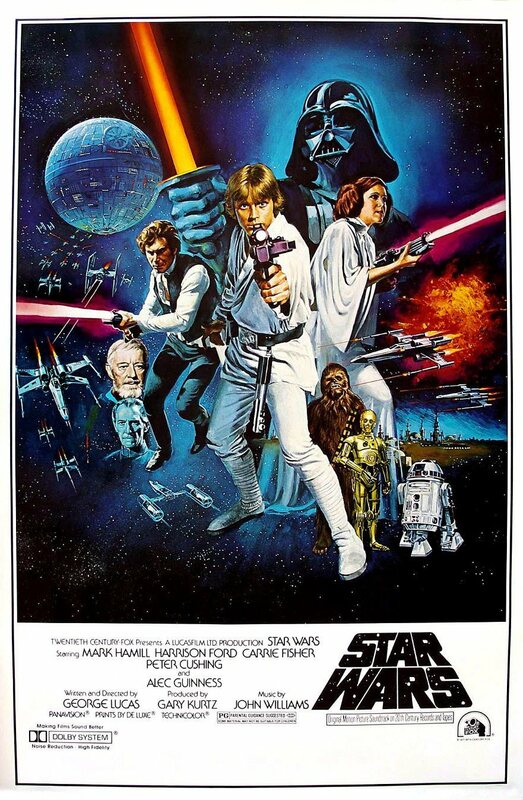 In terms of impact alone, Star Wars has a case for being one of the greatest movies ever made. But it’s no fluke that this film connected with people. 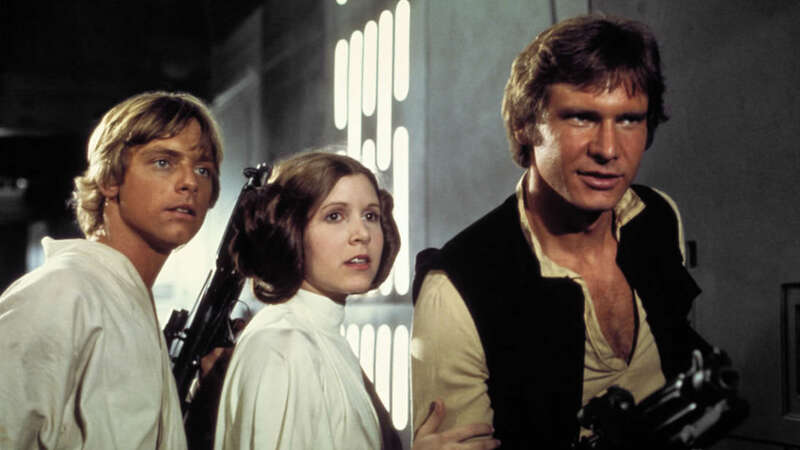 Despite all of its production woes, Star Wars is a great movie on its own merit. Try to forget its effect on consumer culture, or the awful prequels or special editions, or even that this is anything other than just a movie. While it isn’t perfect, it’s easy to see why Star Wars deserves this spotlight. Which is why I’m starting with the film stripped down to the most basic level. An army of Bad Guys is chasing a small band of Good Guys because a Princess stole a McGuffin. The Princess gives the McGuffin to two Quirky Robots before she is captured by a Scary Man in a Cool Suit. After some misadventures on a planet sized desert, the Quirky Robots come into the possession of our protagonist, a Whiny Farmboy. One of the robots goes looking for a Crazy Old Wizard, so the Farm Boy goes after him and learns from the Old Wizard that Farm Boy’s long lost daddy was also a wizard and that these wizards are also Space Knights with awesome Laser Swords. After the Bad Guys murder the Ball and Chain Guardians, out protagonist upgrades from Whiny Farm Boy to Determined Farm Boy and decides to help the Wizard save the Princess from the Bad Guys and become a magic Space Knight. With the help of the Coolest Pirate Ever and his Bipedal Dog, they go to the flying Space Fortress of Doom, which the Bad Guys used to destroy an entire planet of Innocent Civilians because the Princess is tougher than she appears. Farm Boy, Cool Pirate and the Dog rescue the Princess, who takes charge and helps them escape while the Old Wizard finds the Scary Man, who is also his Treacherous Student. They have a Laser Sword Duel, Scary Man kills the Old Wizard, who sacrifices himself so our Heroes can escape. According to the Wizard, Scary Man also killed Farm Boy’s long last daddy, so Farm Boy is angry and sad, but is now super motivated to stop the Bad Guys for good. Using the McGuffin, Farm Boy leads an attack on the Fortress of Doom while Cool Pirate leaves now that he has his reward money. All looks lost as Scary Man is about to blow Farm Boy’s ship to smithereens, but Cool Pirate returns for a last minute rescue. The Ghost of the Old Wizard tells Farm Boy to use Space Magic, and Farm Boy blows up the Fortress of Doom! Scary Man is gone but not dead, the galaxy is safe, Our Heroes are rewarded. The End. Not the world’s most complex plot, but it gets the job done. More importantly, by using classic genre tropes, we are reminded what genre this falls into. Despite the spaceships, aliens and laser guns, this is not science fiction. A Farm Boy, a Wizard and a Pirate (and his Dog) save a Princess from a Fortress because a Scary Man captured her. There’s Magic Knights who fight with laser swords. This is High Fantasy in space. It’s a swashbuckling adventure, as far removed in tone from Star Trek or 2001: A Space Odyssey as a story can get. While we all take that for granted now, it cannot be stressed enough for fresh this idea was in 1977. Lucas and his team crafted a classic heroic myth in a setting most people would never imagine it taking place in. In the plot summary I used archetype names for the characters to hang a lampshade on the film’s use of age old tropes in a space age setting. But the characters are more than those labels. Consider Princess Leia, who has no real reason to be a Princess except for to remind us what genre we’re in. But while Leia is functionally a damsel in distress, she couldn’t be farther from that basic idea. She can take out a few Stormtroopers with ease, she never gives in to torture or coercion even when her home world is under threat, and as soon as she’s rescued, she takes initiative to lead her rescuers and help them all escape, albeit in an overbearing manner. She’s as capable, resourceful, flawed and likable as anyone in the movie. The movie takes a cue from Akira Kurosawa’s The Hidden Fortress by having us first experience events of epic scale through the eyes of the lowest of people; two robots (called droids). One is a fussy, dramatic bad luck magnet named C-3PO, while his counterpart R2-D2 speaks only in beeps, whirrs and clicks. Yet with 3PO’s translating and Ben Burtt’s sound design, we get a sense of R2’s loyalty and bravery. R2 is charged with getting the Death Star plans to Obi-Wan Kenobi and back to the Rebel Alliance, making these droids critically important to the galaxy’s freedom. Consider how boring this McGuffin could have been, or how frivolous these droids could have been, and how combining them created such an enduring part of Star Wars iconography. Interestingly, the film doesn’t introduce us to our main protagonist for a while, choosing instead to introduce the civil war, the alien worlds, and the sci-fi technology through the robots’ eyes first. The princess and the main bad guy are introduced in what amounts to a prologue, making us all aware of the stakes. And yeah, let’s talk about that bad guy. 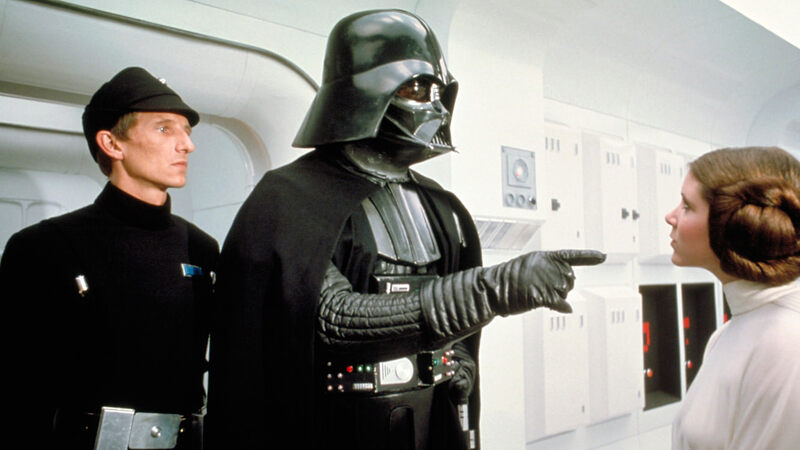 Darth Vader is not quite a fully realized character in this movie, at least compared to his sequels. (And yes, I will be talking more about him in that column.) But the iconic suit and helmet and the dominance he shows in every scene make it clear how dangerous he is. 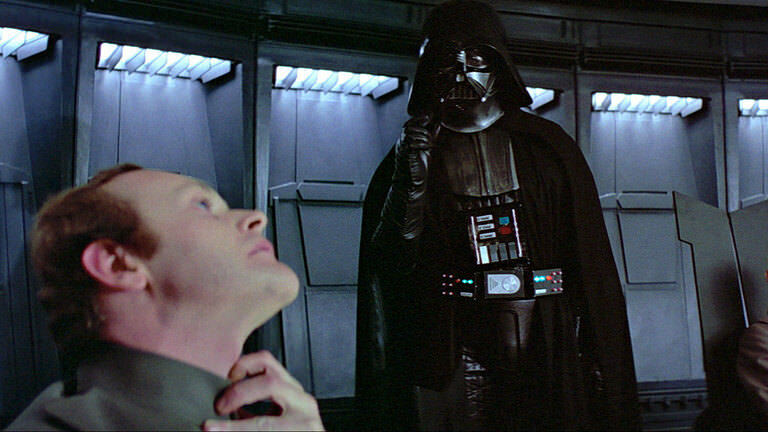 By his own hand, through the Force, with a lightsaber and even in ship to ship combat, Darth Vader is threatening. But at this point, he’s more of the face of the Empire, only really becoming a personal enemy to Luke Skywalker near the end of the film. So let’s talk about Luke. One of my favorite shots in this movie is Luke playing with a model of a shuttle while Threepio prattles on in the background. 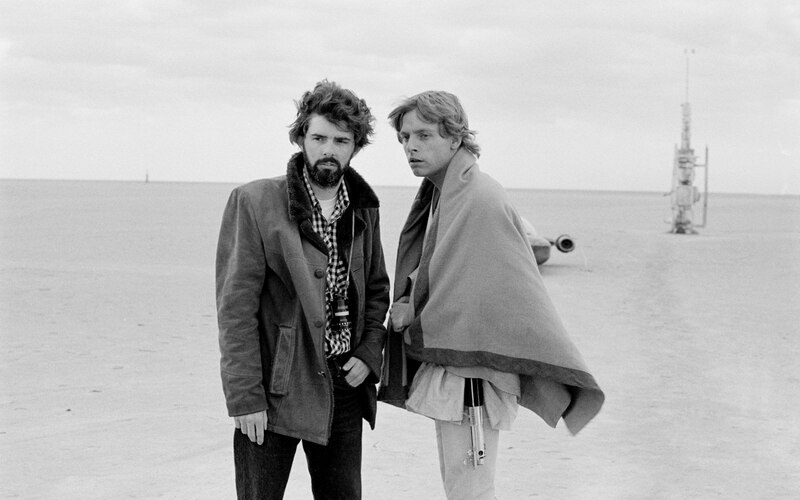 Without saying much, we get a sense of Luke’s youth, his discontent and his dreams. He talks about losing his friends, we know he has a duty to help his aunt and uncle, and he wants adventure and excitement. He stares off at the twin suns, longing for greater significance before remembering how trapped he is. But when he finally does get roped into an adventure, the cost is steep. His aunt and uncle are murdered, a gruesome sight Luke forces himself to take in. Once he thinks he found his purpose by becoming a Jedi like his father, the man who took him in and trains him is killer by the man Obi-Wan claims killed his father. This kid goes through a lot of trauma, but he comes out of it determined, tougher and wiser. At the end, he achieves a near impossible task and becomes a hero. It’s protagonist writing 101, but it absolutely works here, making Star Wars a coming of age story as well. 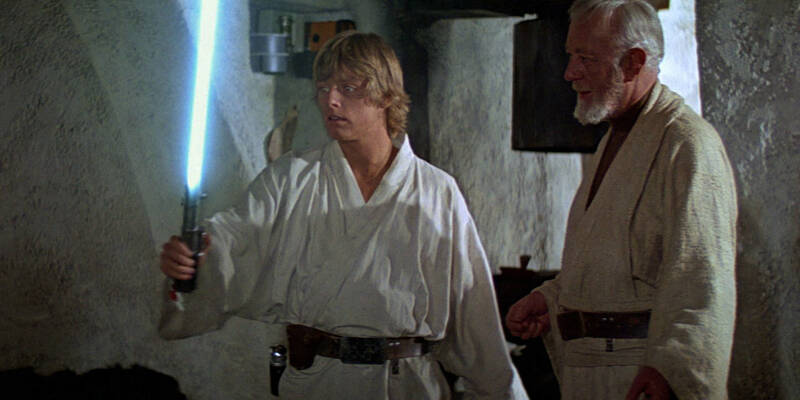 But while Luke is the main character, I think the two best characters in this movie are Obi-Wan Kenobi and Han Solo. I’ll talk a little more in depth about Old Ben next week, since he plays a pivotal role in one of the movie’s critical x-factors. But for now, suffice to say that Alec Guinness was too good for this movie. He took the role because he believed in the basic moral goodness of the story, and brought professionalism and class to a movie with, in his words, a banal script. While the movie unfortunately overshadowed an amazing career, he became the standard for all wise old mentors to follow. And I’d like to recognize Peter Cushing for providing similar professionalism to the role of Tarkin, which could have been either boring or overplayed. Instead, Cushing found the perfect balance. These are two perfect casting choices. Similarly, has there ever been a more perfectly cast rakish scoundrel than Han Solo? This is the role that pushed Harrison Ford to the mainstream. He’s morally grey in a world where good and evil are absolutes. He’s cynical of the Force, he shoots first, and he’s in it for the money. But he’s also fiercely loyal to his friends, brave to the point of stupid, and through luck and skill proves to be incredibly useful. He has amazing chemistry with everyone and the film’s dialogue improves greatly when he is present. 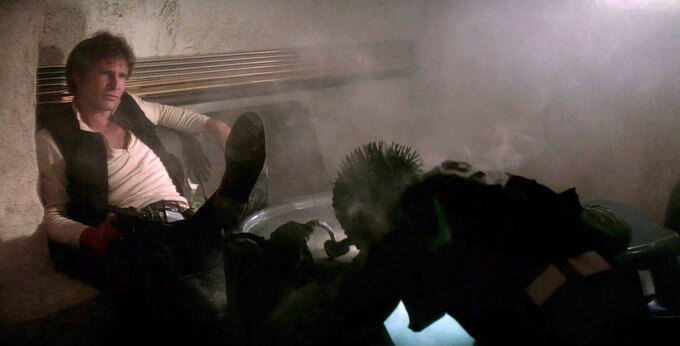 And while Chewbacca is functionally a guard dog (but also one of the most unique alien designs ever), his presence shows us right away that Han is capable of having close friends. That’s his arch; caring only about himself and his money but eventually growing to care for Luke, Leia and even the Rebellion itself. 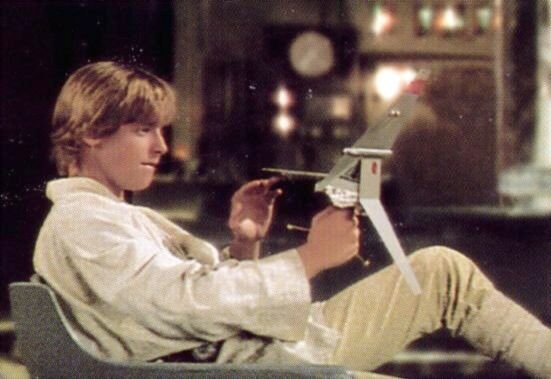 His last second return setting up Luke’s decisive shot is a perfect climax to the story. So as mentioned previously, this is going to be a two-parter and Part 1 is running a little long. Trying to find a natural stopping point, I think the best way to do so is to explain why I’m doing this in the first place and why I’m choosing to be more comprehensive here than on any previous movie. After all, you may ask, doesn’t everyone know Star Wars and know that it’s pretty good? What’s the point of advocating a film that’s so well known, and why do I feel the need to do this much? It all boils down to the mission statement of this column; to keep meaningful discussion alive. When a movie reaches a point where it seems the only thing fresh someone can say is contrarian nitpicking, I feel that it becomes necessary to reaffirm what makes that movie great. Greatness isn’t always self-evident, and if we’re really honest, it becomes harder to pinpoint after we’ve seen a movie more than twice. I’m so accustomed to everything in Star Wars that I’m almost numb to it. I can have the movie on as background noise while I’m working on something else and not miss anything, and I imagine that’s the case for most of my readers. That familiarity doesn’t breed contempt, but it does breed boredom. The recap of the basics here is to try to do for you, the reader, what I tried to do for myself as I was viewing this movie to write this column; reset my brain to zero, watch the movie with new eyes and try to regain the perspective I had the first time I saw it. I wanted to remind myself of how this film forged the personal connection I had with this world and especially the characters that inhabit it. Obviously that’s not entirely possible, but by taking notes even when something seems obvious to me, I feel like I managed to capture a little bit of that for myself. And I challenge you to do the same, not just with Star Wars, but with any movie you love. Because that wonder is why we go to the movies. Another reason I felt this was necessary is because this serves as a baseline framework for my next three columns. I’ve got a lot to cover, not just in the second part of this review, but in my reviews The Empire Strikes Back and Return of the Jedi. I’m not just acknowledging what works in a single film, but a trilogy of films. Hopefully, between four columns I can acknowledge everything that is worth acknowledging. And lastly, while Star Wars is almost universally beloved, it’s become an increasingly popular target for would be film critics to poke holes at or diminish the movie for the sake of being contrary. Now, I don’t care if you don’t like Star Wars; nobody is obligated to like any movie. But this column does serve as my rebuttal to that kind of criticism. So now that I’ve covered all the nuts and bolts and acknowledged why and how they work, that’s a wrap for Part I. In Part II, which will be out this week, I’ll be looking at a couple areas that make the film more than just a great character piece. I’ll also acknowledge a few weak points of the movie before the final summation. I log reviews for every film I see, when I see them. You can see my main page here. Recent reviews include Murder on the Orient Express and Transformers: The Last Knight.